OK then. 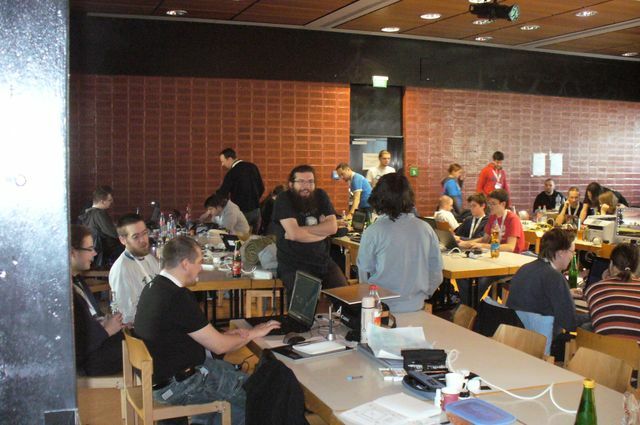 In the middle of October 2011 there was the Devmania, a convention about hobby game development, for the third time, and 90 people from all parts of Germany participated. Compared to the former event "Dusmania", this wasn't that much (AFAIK there over 200 attendees in 2003) - but nonetheless (or perhaps: because of this) it was a very intense and fun event. We came a little bit too late and Christian Rösch's speech about demo coding already started, which was a bummer, because while I acclimated and set my computer up it was hard to follow the presentation. Even better, right after Christian we had to give our talk about iOS Development With Unity3D! This was a good thing, because we would have been nervous until then, and so this was over pretty soon. Our presentation was well received even though it's a pretty specific topic, and some of the Devmanians came to us afterwards and wanted to try the games we had shown (PITMAN and TUMBLOX) or just discuss about their experiences with the platform and the market, or about Unity3D (which I thought would be used by everybody and his/her little sister now, as every browser game seems to use Unity nowadays). All things considered it was a nice experience to give a talk again after our last one in Leipzig, and we hope to give another one next year. Some hours later I was on the stage again and showed three games I made in 2011, all for Ludum Dare contests (1930, TRI and BUNNIES, BACK INTO YOUR CAGE). Traditionally, game presentations get prices the next day, and this year the voting for them was at the same evening. I made second place - once again I lost against Dreamworlds (and their fine-looking SPLATTER). ;-) Not bad for small games I made within 48 hours, I think. The year before, Jana, Björn and me talked about our final projects we made for University, and my Diploma project "Hals über Kopf" also made second place (no chance against SPLITTERWELTEN), while Jana got the third trophy! Be that as it may, TRI got some great positive feedback, but there were also people who liked the BUNNIES more. 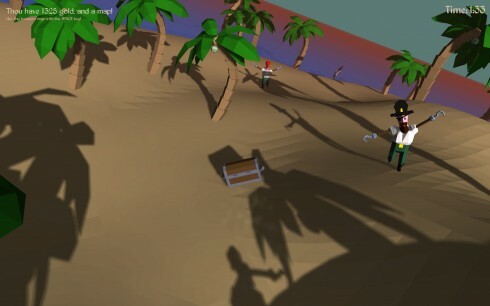 So we created TREASURE CHEST ISLAND within 12 hours, using Unity3D. Björn made all the graphics (the island, the chest, the animated pirates, the palm tree, the coin and the treasure map), while I scripted the complete game logic. We didn't use any fancy version control system, only my crossover LAN cable and a shared folder on Björn's computer, which was fast and easy enough. We both stayed up all night, something I only could do because I usually don't drink any coffee or cola, so one bottle of cola kept me awake until the very end, haha. Right now I try to make the game a little bit better and put it on Kongregate, with online highscore and some new gameplay. Because of the overnight contest I pretty much ignored the rest of the event after 10 o'clock, which probably isn't the best way to participate in a convention. On the other side, ten other teams / solo persons also were busy making their contest entries. Somehow, this year it felt like much more people were awake during the night, coding, pixeling, modeling and recording fart sounds. A very productive environment! Some photos of the Devmania 2011 are here and there - ours are here. 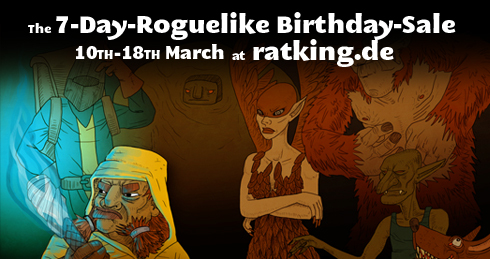 And there also is a French blog post about the event. Please tell me if you find more coverage!